Great cooking starts with have a space to be able to express yourself in. Like any great master, whether you’re painting, composing a symphony, or cooking a gourmet meal, you need to have the right tools at your fingertips. A kitchen which is poorly organized can make cooking seem like more a drag than a pleasure. Whereas when you can effortlessly reach for exactly what you need and gracefully transition into the next step, it becomes a joyful experience. Especially when it’s time to eat! 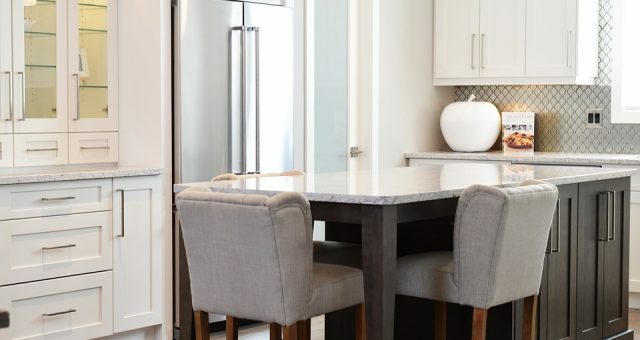 If you’re ready to transform your kitchen and make it tip top and organized, here are the best tips to get you started. There should be a rhyme and reason for where every single thing is place in your kitchen. Your fruits and vegetables should be near your juicer. Keep your electrical appliances like toasters next to outlets. Most importantly keep any products used for killing pests or deep cleaning far out of the reach of children. When you have a kitchen which is strategically organized for ease of access, your entire cooking experience changes. No longer are you rummaging for things across the room, but effortless grabbing things exactly where you need them. It’s time to go through your cabinets and get rid of anything which has been gathering dust. If it’s past the expiration date, then it needs to go straight into the trash can. If it’s still good, but you have no intentions of using it, donate it, or offer it to friends and family. By filling your space full of things which are only taking up real estate without actually needing them, you’re just adding clutter. Your cabinets should be full of only things which you plan on using regularly. One of the best tools for your cabinets is installing organizational tools like containers and lazy susans. You’ll be able to find things much easier when they’re properly stored away. Whereas when your cupboards are full of things piled on top of each other with no rhyme or reason, there’s no organization whatsoever. It may be frustrating to hear if it’s not in your budget, but you should consider getting a bigger fridge. When your refrigerator has the maximum amount of space, you can fit more in it, and see everything at the same time. As a result, you’ll have less food go bad that you forgot was in there, and you’ll be able to prep more meals since you have to space to store it. Even though it is an investment, it certainly makes what you need more accessible, and your kitchen much more organized.